Notes The US army had always requested a mobile anti-aircraft gun to accompany their armoured forces and this resulted in the M13. 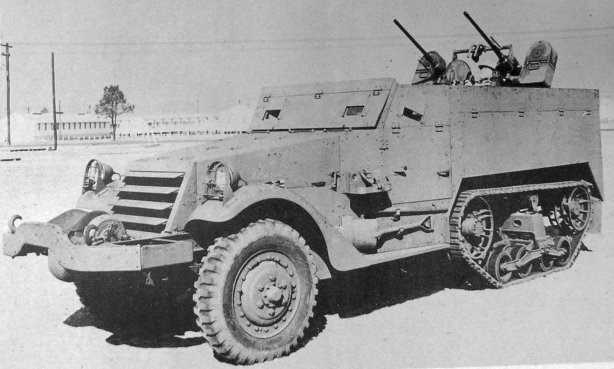 The M13 was the first of a long line of MGMCs and was based on the M3 chassis. It mounted twin .50 cal M2HB Heavy Machine Guns on a M33 Maxson mount. Crew; Commander, Gunner, Two Loaders and Driver. It served in Italy during the Anzio landings before being replaced by the M16.